UK indie-rock outfit formed in 1989 and featuring Tim Burgess, Mark Collins, Martin Blunt and Tony Rogers. Founder member, drummer Jon Brookes passed away in 2013 and original keyboard player Rob Collins passed away in 1996. 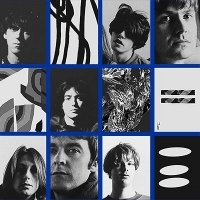 Initially part of the '90s 'baggy' scene, their hits included "Indian Rope", "The Only One I Know" and "Weirdo", before changing direction and releasing hit albums "The Charlatans", "Tellin' Stories", "Wonderland", "Who We Touch", "Modern Nature" and 2017's "Different Days".